Diwali is that time of the year when many of us dream about new clothes, new shoes, presents, holiday, and good food. Have we ever paused for a minute to think of those who do not have the privilege to enjoy celebrations along the year? 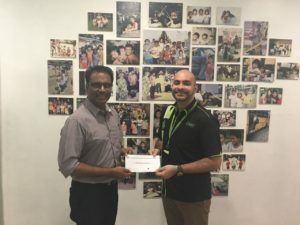 Melorita Healthcare had recently painted faces of smiles to some 30 children from two different homes; Rumah Shalom and Shelter Home, both located respectively in Puchong and Petaling Jaya. This CSR initiative was implemented last year where successful events were carried out throughout the festive season. The volunteers spent quality time by engaging in games and conversation, providing the much-needed feeling of bonding. We learnt much about these children and to our surprise; they have good talents hidden inside them. 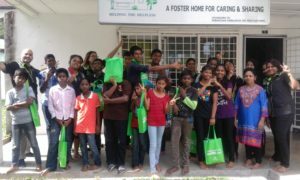 To add to the cheer and joy, goodie bags were distributed to the children. Towards the end of the event, we were delighted to have reached out to these children and Melorita Healthcare will continue to organize more CSR programs in the future. Melorita volunteers with the children of Rumah Shalom, Puchong. Check presentation by Melorita Healthcare Representative at Shelter Home, PJ.